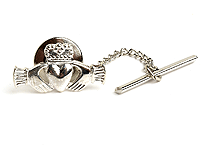 The Claddagh symbol is a representation of a couple's love, friendship, and loyalty to one another. 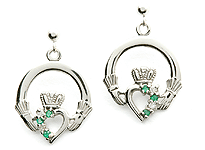 These July Claddagh earrings have been created using that symbol. 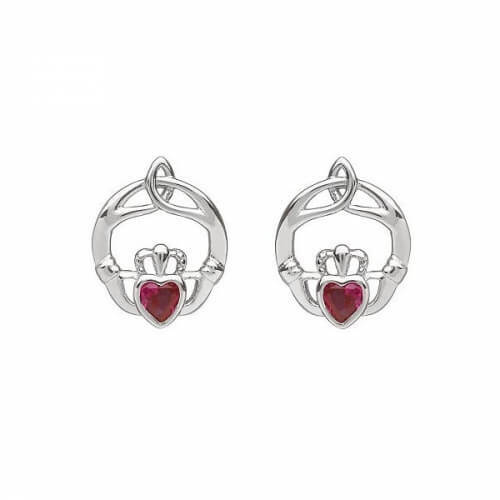 At the center is a sparkling ruby that not only makes these earrings fashionable, but also represents the month of July. 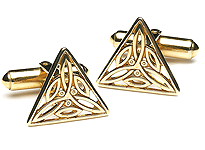 These earrings make a great gift for an important woman - especially if she is born in the month of July. 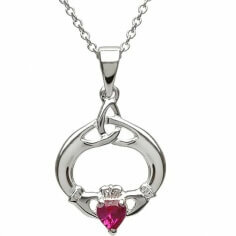 The ruby is said to give the wearer contentment and peace. 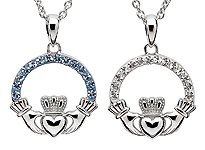 It is also a symbol of friendship and love. 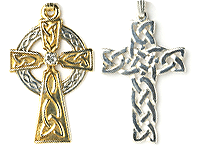 Very easy to find what I wanted on the website. Quick delivery. 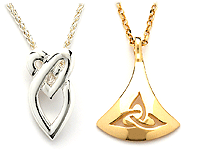 Beautiful jewelry. 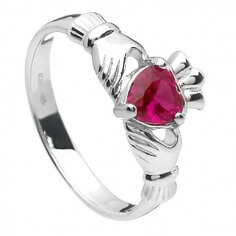 Service rating : Excellent service and quality of rings. Product : Wife loves the earrings. They were exactly what she wanted.